You and your pet, in a beautiful set(ting), forever immortalized by one of our city’s finest contemporary photographers- yes, finally, you too can have a Portrait With Your Pet. Larry Glawson, Dominique Rey, Karen Asher, Talia Potash, and Natalie Ferguson will be taking photographs in sets provided by Ken Gregory, Wanda Koop, Natalie Ferguson, Josh Ruth & Mike Von Tiesenhausen. Turn up with your well behaved, continent, non-dangerous pet and be immortalized! The image will be emailed to you. $30 for members, $40 for non-members. 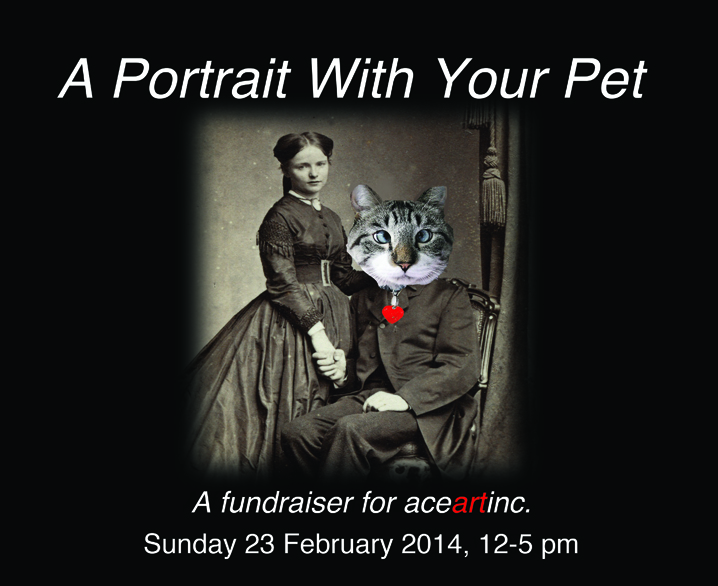 $10 membership available on the day with your portrait purchase.